Organizational Succession Planning Board Discussion Framework. 6 . 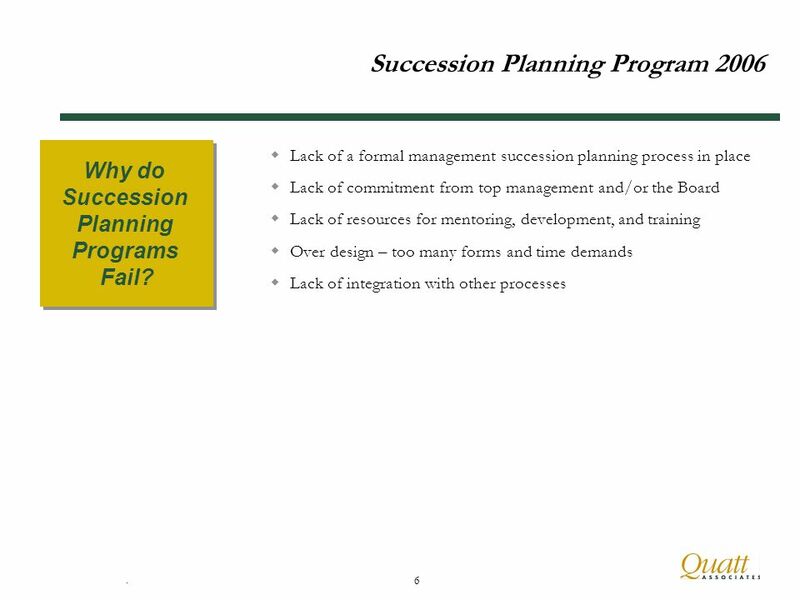 6 Succession Planning Program 2006 Lack of a formal management succession planning process in place Lack of commitment from top management and/or the Board Lack of resources for mentoring, development, and training Over design – too many forms and time demands Lack of integration with other processes Why do Succession Planning Programs Fail? 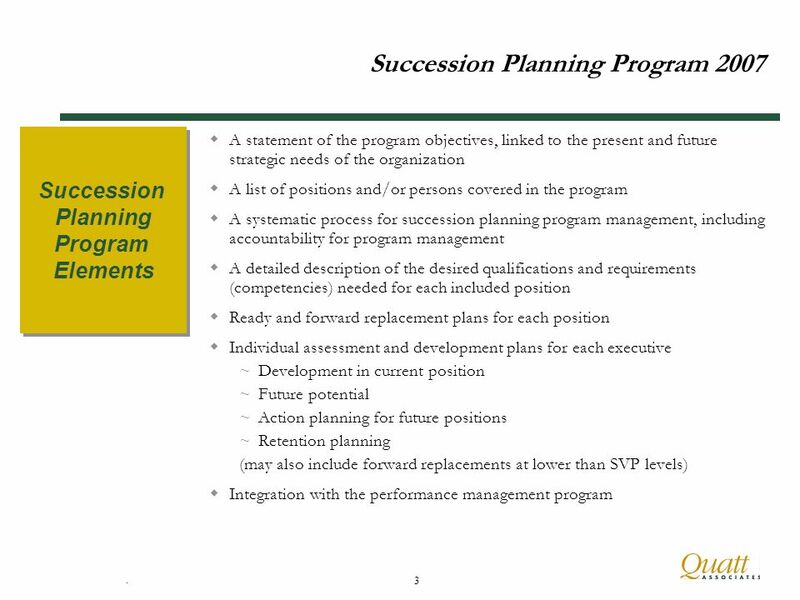 Why do Succession Planning Programs Fail? 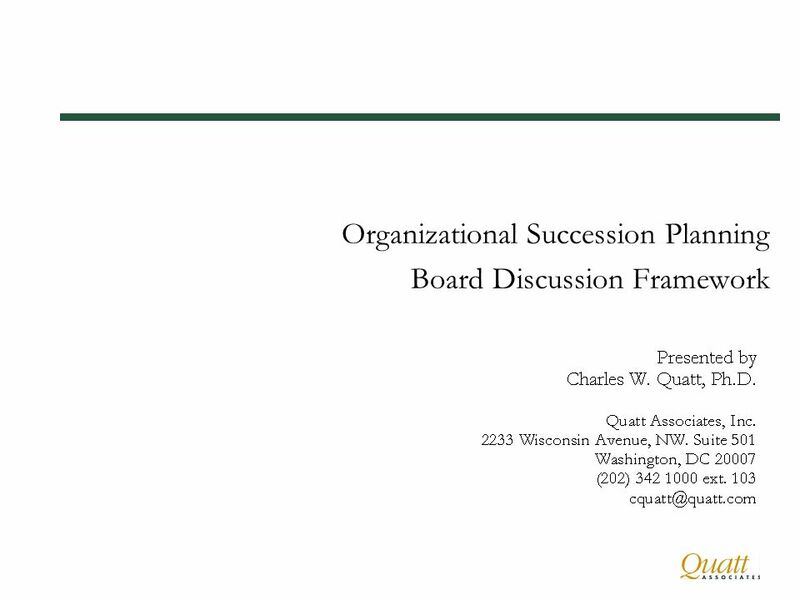 Download ppt "Organizational Succession Planning Board Discussion Framework." Speed Bumps on the Road to Workforce Planning. 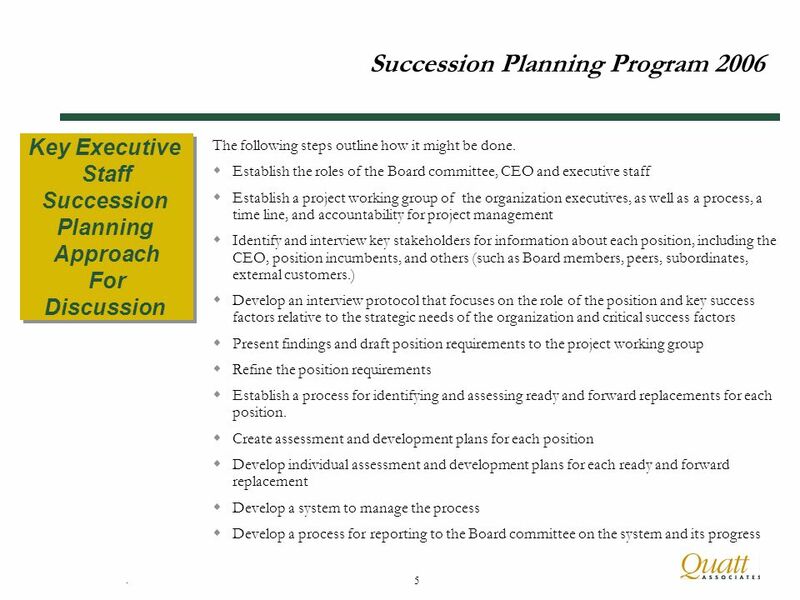 Workforce OSCPM Alan Ross Tripp Workforce Planning Manager Office of Personnel Management Planning. 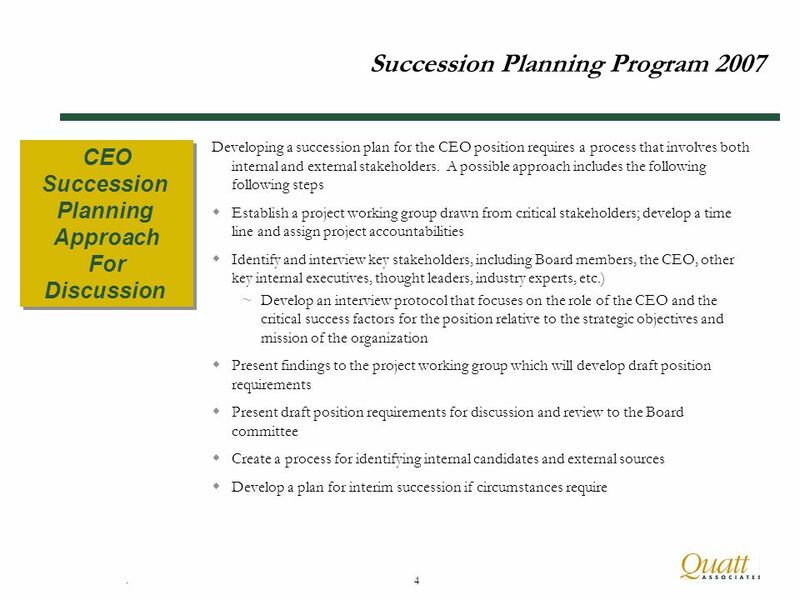 THE INS AND OUTS OF SUCCESSION PLANNING Association of Catholic Publishers September 4, 2014. Beverly Hodges, CPA Financial Services Administrator - DOTD. STRENGTHENING COMMUNITIES INITIATIVE NORTHLAND FOUNDATION DECEMBER 9, 2010 Succession Planning. Change is a Process Organizational Stages Individual Stages (ADKAR) Business Need Concept and Design Implementation Post-Implementation Awareness Desire. Strategic Management. What is Strategic Management? The set of decisions and actions that result in the formulation and implementation of plans designed. NEW MEXICO SCHOOL BOARDS ASSOCIATION LEADERS RETREAT Taos, New Mexico STRATEGIC PLANNING. Arnhem Business SchoolJ.Vinke 2005 Human Resource Management (HRM) Plan guide on developing a practical HRM plan.